The paper presents the research results on mechanical properties of materials under pulsed loads. The effect of dynamic loads in technological processes of part surface plastic flow (deformation) is considered. The relation-ship of strength analysis to the strain rate under pulsed loads is given. Plastic wave propagation process in a metal sample is discussed. The part surface stress state mechanism under pulse loads is described. Calculation results analysis of dynamic strength material characteristics, using the theory of strain and stress wave propaga-tion, is performed. The sample movement equation under the plastic flow theory is given. The paper presents accurate results on determining mechanical properties of materials under dynamic loads, following the flow and strain wave propagation. Wave propagation in solids is described by means of gap functions propagation and their derivatives. Keywords: dynamic loads; strength characteristics; deformation; voltage; sample; movement equation; wave processes; mechanical properties. Kukudzhanov V.N. Rasprostranenie cilindricheskih udarnyh voln naprjazhenija v plastinke za predelom tekuchesti [Propagation of cylindrical shock wave in a plate beyond the yield stress] // Proceedings of MIPT, 1959, № 3. Kurant R. Uravnenija s chastnymi proizvodnymi [Partial Differential Equations]. – Moscow: Mir, 1964. Fridriche K., Kurant R.Sverhzvukovoe techenie i udarnye volny [Supersonic Flow and Shock Waves]. – Moscow: Il, 1950. Nadeeva R.I. Ob opredelenii dinamicheskoj zavisimosti mezhdu naprjazhenijami i deformacijami [On the determination of the dynamic relationship between stress and strain] // Vestnik MSU, 1953, №10. 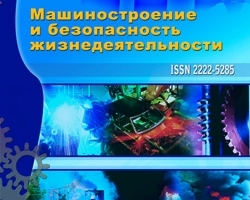 Orlenko L.P. Povedenie materialov pri intensivnyh dinamicheskih nagruzkah [Behavior of materials under intense dynamic loads]. – Moscow: Mashinostroenie, 1964. Pavlenko A.L. Prjamoj udar po gibkoj plastine telom vrashhenija zadannogo profilja [Direct blow to the flexible plate body rotation given profile] // Dissertation Research Institute of Mechanics and Mathematics MSU, 1952. Polovtseva V.S. Ob jeksperimental’nom issledovanii normal’nogo udara po gibkoj membrane [An experimental investigation of the normal impact on a flexible membrane] //Vestnik MSU, 1967, №6. Rabotnikov Y.N. Moscow: Fizmatgiz, 1962. Rachmatulin H.A., Demjanov Y.A. Prochnost’ pri intensivnyh kratkovremennyh nagruzkah [Tensile intense transient load] – Moscow: Fizmatgiz, 1961. Smirnov V.I. Kurs vysshej matematiki [Course of Higher Mathematics], vol.IV. – Moscow: Gostechteorizdat, 1951. Sokolov L.D. Soprotivlenie metallov plasticheskoj deformacii[Resistance to plastic deformation of metals]. – Moscow: Metallurgizdat, 1963. Tomas T. Plasticheskoe techenie i razrushenie v tverdyh telah[Plastic flow and fracture in solids]. – Moscow: Mir, 1964. Freudenthal A., Geiringer H.Matematicheskie teorii neuprugoj sploshnoj sredy [Mathematical theory of inelastic continuous media]. –Moscow: Fizmatgiz, 1962.